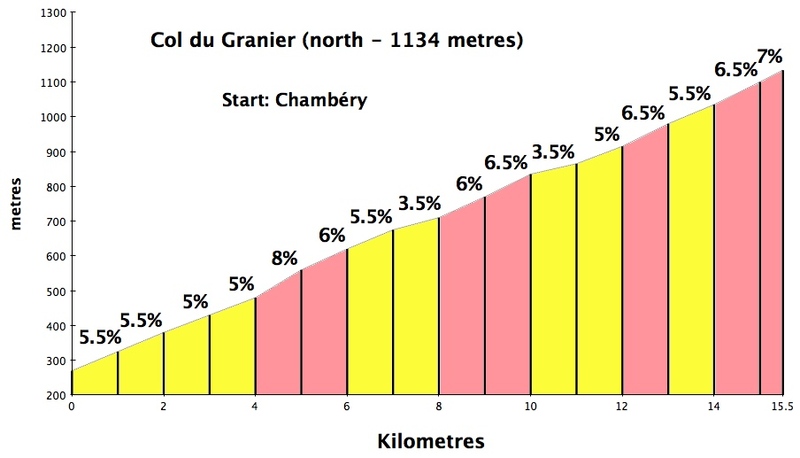 This climb is most famous as the last climb on the 1958 Tour de France stage when Charlie Gaul took back 12 minutes on the leaders and went on to win the Tour. Nicknamed Monsieur Pipi because he “invented” taking a pee while continuing to ride. 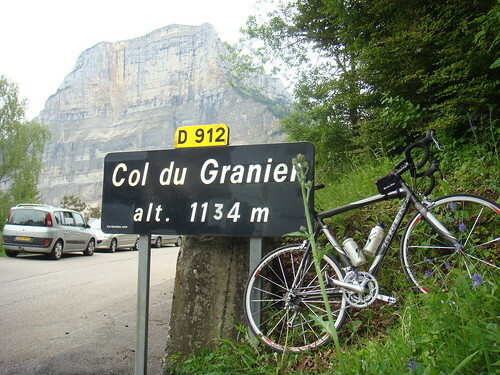 Last year a french magazine published its list of the 30 most beautiful climbs in France. 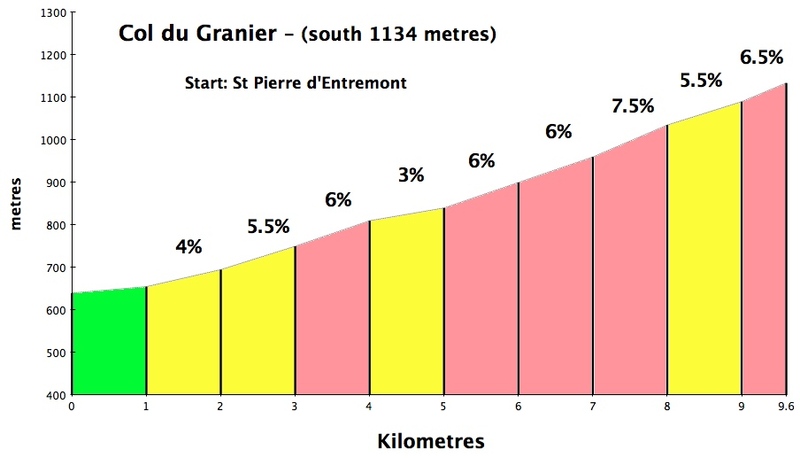 After climbing this, I now only have one climb left (Col du Granon) in the Alps. Today I chose the more classic north route but took an alternate road for the first half to avoid a tunnel –I hate tunnels. This alternate route was a couple of kilometres shorter but the same ascent leading to some very steep stretches. Three kilometres averaging 10% with several short stretches MUCH steeper. At one point on the terrifying descent I pretty much slowed to a crawl it was so steep. At the Col, I descended 10 kms down the easier south side and climbed back up. A very nice, scenic climb. But frankly the least impressive by far of all the climbs on the “most beautiful” list. 29 down, 1 to go! Well done, and nice smile! !